I know, I know. Getting locked into a two-year contract for a Nexus 4 is something that not everyone wants to do, and I don't blame them. 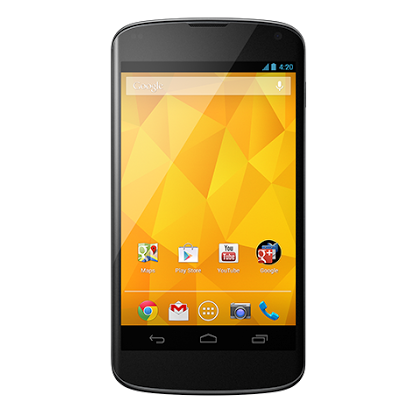 But, for those who don't mind two years on T-Mobile, you can get a free Nexus 4 if you order it before Sunday, February 24th. That's a pretty solid deal, because this is one of the best Android phones money can buy. But if you get it for free, money isn't buying it. So it's one of the best Android phones you can get for free. Actually, it's probably the best Android phone you can get for free. So, let's recap: free Nexus 4, two-year agreement on T-Mobile, order it before Sunday, February 24th. Got it? Then head to the link below to get it.